When the Arab spring spread across the Middle East eight years ago, many observers were filled with optimism. Years of sclerotic dictatorship were over, repressive regimes would fall, a wave of progressive politics would sweep across the region. But this was always unlikely, as the more astute commentators made clear at the time. Many of the authoritarian states remained strong, buttressed by patronage networks, vested interests and regional or international support. Opposition movements were undermined by ideological disagreements, ethnic or other divides and determined, brutal repression. Brave teenagers with inspiring slogans proved no match for the teargas and tanks of regimes, nor for the calculations of distant powers. One key factor often missed was that many of the people in states as diverse as Tunisia, Egypt, Syria, Saudi Arabia and Iran did not admire the values, systems and lifestyles of the west as much as some hoped. To be anti-regime did not necessarily mean to be pro-western. The relationship of many liberals in the Middle East with democracy, individualism, western ideas and institutions was complicated and conflicted, freighted with historical grievance as much as aspiration. If many of those grievances go back centuries, the decade before the Arab spring added new ones. Emma Sky is uniquely qualified to consider them. 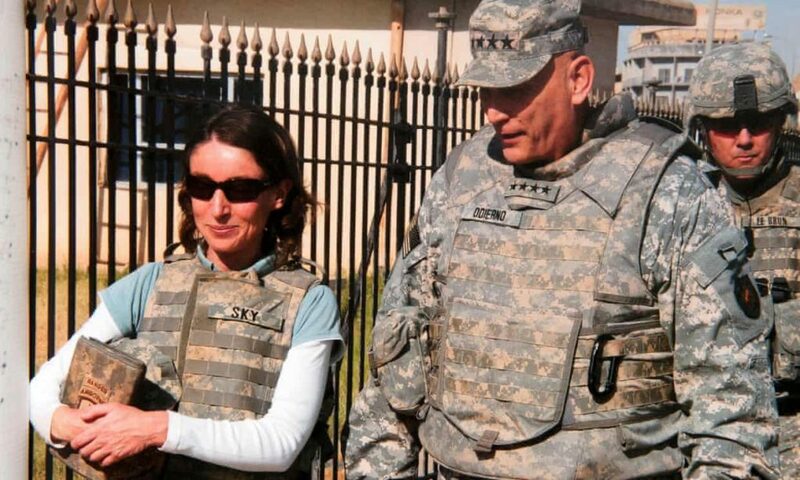 In her first book, The Unravelling, published to justified critical acclaim, she described her time in charge of a province in northern Iraq and then as a senior adviser to the top US general in the country. Sky, as someone who opposed the war but went on to work incredibly hard to mitigate its worst consequences, was, and remains, an important voice for anyone who witnessed those extraordinary events first-hand. Her account of the chaos and complacency of the US-led effort to turn Iraq into a pro-western democracy will be a significant work for historians seeking to understand what went wrong and why.